Are you thinking about how to start a side gig? For more years than I can count, I’ve worked numerous side gig jobs to make extra money in addition to my high school, college, and corporate job schedules. These jobs have never been expected to match my 9-5 income, but absolutely helped me to become debt free and covered some expenses (and fun hobbies) along the way. You are most likely reading this on one of my blogs. Making money through blogging didn’t come easy for me. It was truly a struggle for most of the first two years. So many times, I wanted to give up because I wasn’t seeing results from my efforts and wasn’t sure how to break through the obstacles. 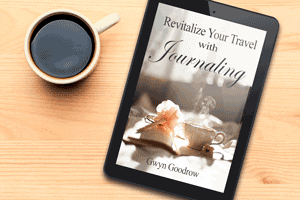 Writing and blogging are enriching hobbies and also provide a bit of therapy and a mental escape from my rigorous and challenging corporate job. Over time, these hobbies became so important to me that I had to continue. Even during the difficult times, something kept pushing me forward to learn more and to continue. As a hobby, I found the time in tiny pockets of my life – sometimes only 5 minutes in a week and other times a full day on a weekend. By having these side gigs, I was constantly learning and eventually realized that blogging makes me even more engaged with my corporate job because I am developing new skills and constantly thinking about current technology. In addition, I read a lot of blogs and enjoy spending time understanding different viewpoints. 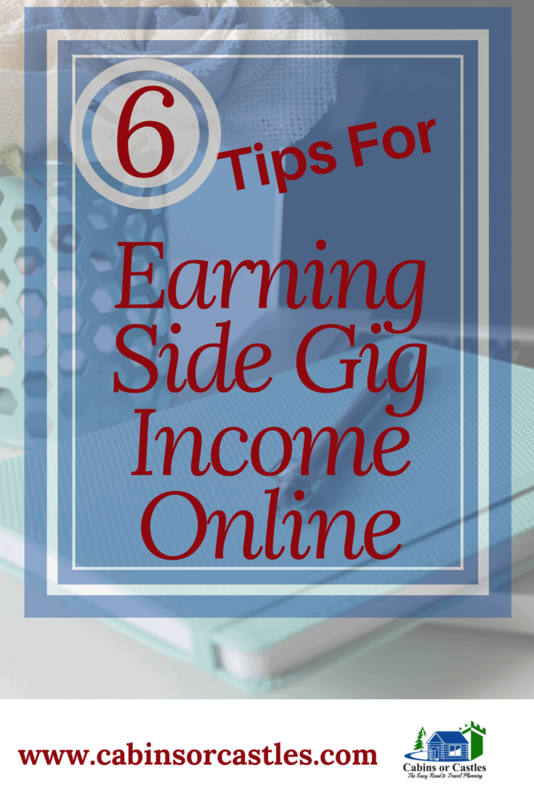 If you want to start a side income and worried that you won’t have the time or that it will cause conflict with your existing job, consider these six tips for starting a side gig while you’re working a full-time job. Then scroll on down to see some of my favorite side gigs and resources to help you get started. I’ve been there and it’s not easy, but it’s absolutely rewarding. Establish your expectations about your side gig. If you are trying to eliminate credit card debt or pick up some extra cash for a special event, get serious about it. 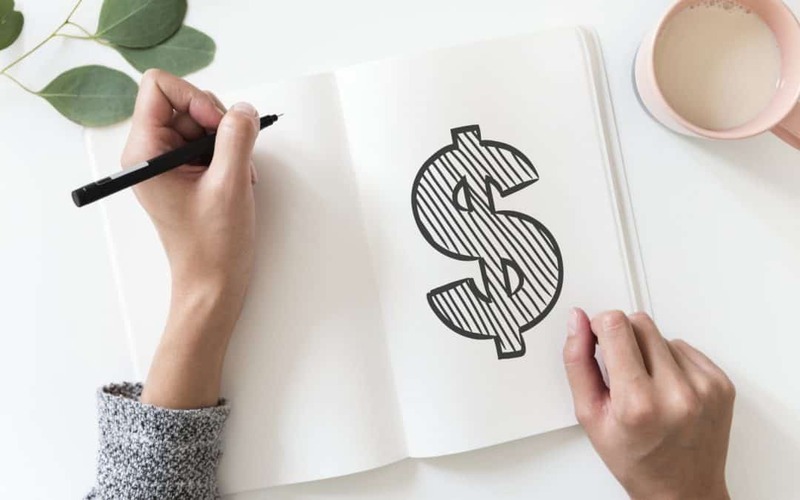 When you accomplish your first goal, you can then decide if your desire for extra income was just a short-term situation or if an ongoing money stream is more enjoyable than binge-watching Netflix. Organize your time and set specific goals and deadlines to stay on track from the beginning. Know that your side gig is taking up your valuable time and treat it as you would a regular (or part-time) job. Show up and be engaged in the work. With a full-time job, you’ll have to be super organized to make this work. Block your schedule for work time and decide how much time each week or month can be allocated to your side gig job. I’ve recently started using Trello to keep track of my goals, projects, and timelines. What a time-saver! I spent about an hour setting up my boards and could immediately see the difference in my work habits. I have a few side gigs in action right now, so I made boards for blogging, travel writing, photography, and Etsy. In the Trello online program, I can post tasks quickly and my desk is clutter-free, with only a few post-it note reminders. I go to my Trello boards to choose tasks based on the time that I have available (because I color coded based on how long I think each task will take to complete). The concept of SMART goals is nothing new. In fact, the concept was first introduced in the early 1980s as a mnemonic for setting corporate objectives to align with company mission statements. TIMELY – Add a calendar element to specify WHEN you expect to be at your goal. Set your overall SMART goal. Depending on the complexity, you may want smaller SMART goals to support the overall objective. For example, as a new blogger with limited time and much to learn, your first goal may be to establish a blogging routine. When you are ready to monetize your blog, the goal could be augmented with financial targets. A new SMART goal example might be: Write one blog post each week with relevant affiliate marketing links and achieve $100 per month in income. Starting a side gig can become overwhelming. There may be a steep learning curve or some new technology that you will need to master. On top of that, you’ll need to become more focused on scheduling your time. Whether you’re interested in blogging, flipping products on eBay or Amazon, writing, pet sitting, or photography, there are free Facebook groups available. Join a few groups and read the pages. Ask questions and get to know others in your new industry. If you are not a Facebook user, try Pinterest for instant access to some blogging sites with relevant beginner information. Include “for beginners” or “101” in the search box, along with your topic to receive access to eBooks and courses geared to your chosen interest. I know. There are only 24 hours in a day – some of these hours are already filled with your full-time job, commuting time, existing commitments, family time, and exercise. What’s still available? Your free time is where you’ll find the hours for doing your side hustle and even growing it into a business (if you are so inclined). When mapping your hours, pause to consider the possibilities. Think about the time you can carve out and a reasonable income per hour (after your learning curve). How can the extra income change your financial future? Blogging and writing offer many options for automation of tasks (after you understand the processes). Photography and Etsy shops allow automation of processes for consistent workflow but many of the tasks remain labor intensive (that means you doing the work). As a blogger, I can schedule in advance for my social media accounts on Pinterest, Twitter, and Facebook. I use Tailwind (paid version) for Pinterest and am learning Hootsuites (free version) for Twitter and Facebook. You CAN make money from blogging and the hours are incredibly flexible. When I’m not writing inside my blog program, I might be jotting notes or planning my next blog post idea (even while doing weekend chores around the house). Blogging has a fairly steep learning curve and is certainly not instant money. With steady attention and some SEO skills, blogging can provide extra money or a reliable income stream. And one more thing…blogging is SO rewarding. I love helping people around the world while sharing information and building a community with common interests. Since 2012, I’ve blogged on five different sites and learned from every blogging experience. Are you interested in starting a blog to make money at home? I recommend the Blog By Number course available on Teachable. The class includes step-by-step instructions for getting started with a blog and understanding the basics. Not ready for the investment? You can also learn about blogging basics at my author website where I’ve posted a series of articles about my blogging experience along with screen shots and helpful hints. I learned it the hard way. Lucky for you, you can learn from me! Did you know you can sell digital products (ebooks, craft patterns, printable downloads, etc) and make an extra $500 to $2,000 a month? You don’t need a website or prior experience to do this. You can learn how to create marketable products using tools already on your laptop and then sell digital products using an online merchant program such as SendOwl. With digital products, you create the product once and then sell the same product multiple times as an instant download or a file that is emailed out to the customer. SendOwl handles the financial transactions and even allows you to create an affiliate program to establish a marketing organization for your product. How cool is that? I’ve been a flipper for years. My favorite technique is to find a neglected item at an estate sale, yard sale, or thrift store and then spend a few hours making it “better than new” and ready for re-sale on eBay or Amazon. I started this side gig when I realized that I had far too many books on my shelves. I studied the trends on Amazon’s book pages and started downsizing. My favorite flipping story is about the time I purchased a genealogy book about a county in South Carolina for $2 and sold it on Amazon for more than $40. The sale was about two years after I listed it, but the profits were well worth the wait. Now, I’m always on the lookout for niche-specific books with flip potential. Yeah, that’s a 1900% Return on Investment! So what’s next for you? You’ve made it to the end of this (very) long post. You can absolutely improve your finances with a side gig, using a few minutes or many hours each month. Dive in! There is so much opportunity available.